There can be only one shop! Cartridge Save, the top provider! Doing your research to find new inkjet cartridges is a time intensive problem, especially if it requires needing to go to many different companies. On the flip side, changing your J4524 ink cartridges need not be a difficult time. Order all your HP J4524 ink cartridges at Cartridge Save. Completely free delivery is offered as one part of the package any time you purchase cheap HP ink cartridges. HP J4524 ink cartridges purchased online at Cartridge Save always are covered by our long money back assurance. In the event that you have got difficulty, simply just post back the goods to get your full refund! You do not want to miss out when prices are this cheap! 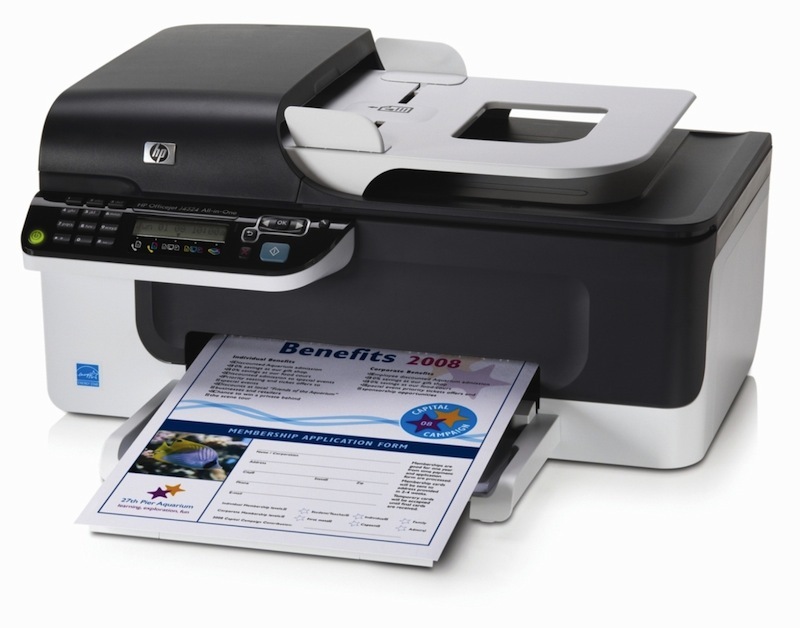 A small office that requires a fast and reliable multifunction printer that can copy and scan documents and send or receive faxes should consider the HP Officejet J4524. While it satisfies the demands of small and busy working environments, though, it is still problematic when it comes to the software and paper feeder, and it could have been better if it had wireless capabilities. The sleek HP Officejet J4524 resembles a compressed version of a large photocopier, and is compact enough to fit a typical office shelf (being only 8.5 inches tall). The fax machine of the HP Officejet J4524 can handle both colour and black-and-white documents and can transmit/receive messages faster with its 33.6 Kbps modem. The paper tray can handle up to 100 sheets (plain paper) so you can print more documents without reloading frequently. The colour print resolution can be optimised to 4800x1200 dpi to produce more vivid prints. The TWAIN-compliant scanner's resolution can be enhanced to 19200 dpi for more true-to-life results. You can save up to 99 entries on the speed dial of the smart fax machine of the HP Officejet J4524, which is also equipped with an automatic busy redial and a ring detect. Those who use Windows 7 may run into a few problems when installing the HP Officejet J4524. Support is very hard to get when the limited 1-year warranty has expired. The HP Officejet J4524 is designed for printing text documents; you might want to look for another printer if photo printing is your priority. Speed is another drawback because the printer tends to slow down when printing, copying, and scanning high-resolution files.